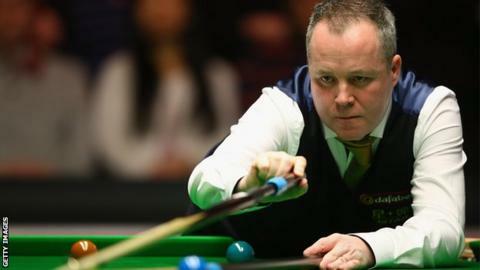 John Higgins secured his 27th ranking title with a 9-8 win over Martin Gould in the Australian Open final. The dramatic victory draws Higgins, 40, level with Ronnie O'Sullivan and to within one of Steve Davis's total for ranking tournament wins. Fellow Scot Stephen Hendry leads the way with 36. England's Martin Gould, 33, playing in only his second ranking final, made a break of 138 in the 11th frame. But Higgins held his nerve in the decider to take the £36,000 prize. World-ranked 26 Gould, also helped by a break of 101 in the third frame, led 4-2 before the pair reached the interval locked together at 4-4 with Higgins managing a 112 in the seventh frame. The Scot, ranked 13 in the world, then took three of the first four frames in the evening session. Gould hit back to make it 7-7 before the next two frames were shared with the Londoner taking it into a final frame. But Higgins - whose last tournament win was the Welsh Open in February - responded with a break of 89 to claim the first ranking title of the season.